There’s nothing like a trip to change how I see my everyday life. If circumstances permitted, I would travel far, wide and often. It’s great to journey away and experience different sights, smells, tastes and experiences. I return feeling relaxed, renewed, refreshed and with a new appreciation for home. But we don’t always need to jet far away. Sometimes a day trip can bring similar delights — and without all the time and expense. As a native Bay-Stater I have a lot of love for our neighbors to the south. For those of us in Massachusetts, especially on the South Shore, a one or two hour’s drive south to the Ocean State is the perfect day trip. Many of us have visited WaterFire in Providence. Maybe you’ve eaten at Al Forno, the birthplace of Grilled Pizza. The Newport Mansions and Newport Jazz Festival are always popular destinations. But have you been to Tiverton? Especially Four Corners? If not, you should go. Here’s why. Located in Newport County, Tiverton is a small town on the eastern shore of Narragansett Bay, across the Sakonnet River. Along with its neighbor, Little Compton, Tiverton is physically separated from the rest of Rhode Island by water. Tiverton Four Corners is a village filled with antiques, a strong arts community, boutiques, ice cream shops, farms and more, nestled among 18th century buildings. It's quintessential New England. I learned that it’s a fun and whimsical place, too, after speaking with Kristin Silveira of Sakonnet Farm. Silveira and her husband Adam own this small family farm, which they founded in 2009. "The property is about five acres," she told me. It’s lush and green, with patches of flowers here and there — streams, animals, a farm stand and their renovated 1800s one room Schoolhouse, also known as the "Old Tiverton Four Corners Schoolhouse No. 1." The farm stand is open daily via the honor system. Just look for the flag and enter through the yellow door. 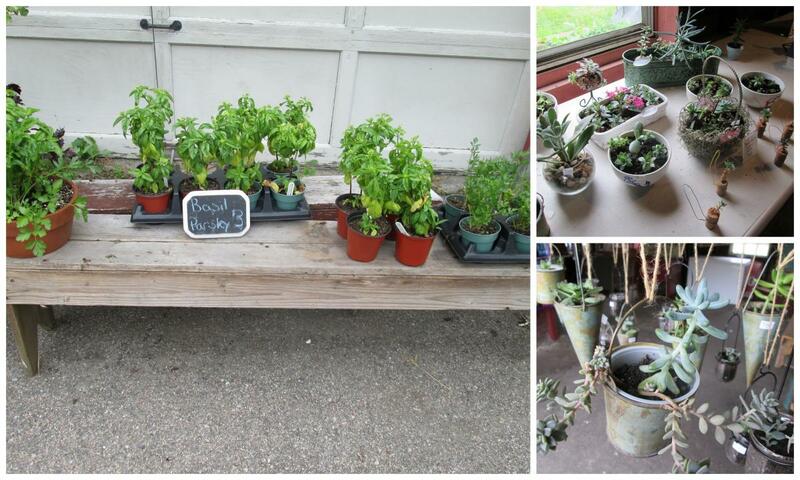 You can also buy fresh herbs and seasonal jams and jellies. Silveira makes them from ingredients grown in the local Tiverton area and the greater New England region. She was kind enough to show me around much of the property. It felt good to be outdoors walking through the grass and exploring a bit — enjoying the warmth of the air in good company. Silveira is also a nurse, and her upbeat kind nature and gentle smile make you instantly feel welcome. With pep in her step, she handed me a brochure for the 2016 Rhode Island Farm Scavenger Hunt. Such a fun idea! Presented by the Rhode Island Fruit Growers Association, the scavenger hunt has 32 participating local farms. There is a map with clues to keep you visiting the farms and possibly win the Grand Prize, a stay at Sakonnet Farm’s Schoolhouse No. 1. Silveira remarks that the area is also known as FarmCoast. As President of the local Merchants’ Association, Silveira is focused on helping promote all businesses in the area. So, of course, she smiles and hands me another pamphlet. "We also have open studios with South Coast artists," she says, "for two weekends this summer, July 16 - 17 and August 20 -21." Silveira and her husband live in Little Compton, just about a mile down the road from the farm. She says that she used to drive by the farm going to and from home. Then, one day, she noticed that it was for sale. She called the real estate agent. The Schoolhouse was a separate property, but she found out that it was for sale, too. She and her husband bought both for a fortuitous combination. They renovated the Schoolhouse and had a Bell Raising ceremony inviting the public to experience the event for their Grand Opening. Their Farmstays include stays at the Schoolhouse and their Potters Corner location in Little Compton. Besides people vacationing in the summer, she says that for Thanksgiving and during the holiday season, many people visit for the weekend and have family reunions. The Schoolhouse has a fireplace, so it’s especially cozy in the colder weather. During the winter, Silveira experimented with growing succulents, and mentions how much fun she had coming up with different ways of displaying them. She has also recently rescued peacocks and has plans in the works for an outdoor aviary. Besides buying items from the farm stand, you can walk around and bask in the bucolic scenery. Overall, Sakonnet Farm and the Four Corners area of Tiverton are great places to visit this summer. Add them to your list! You Don't Have To Go Far To Have A Vineyard Getaway. Just Head To The South Coast.